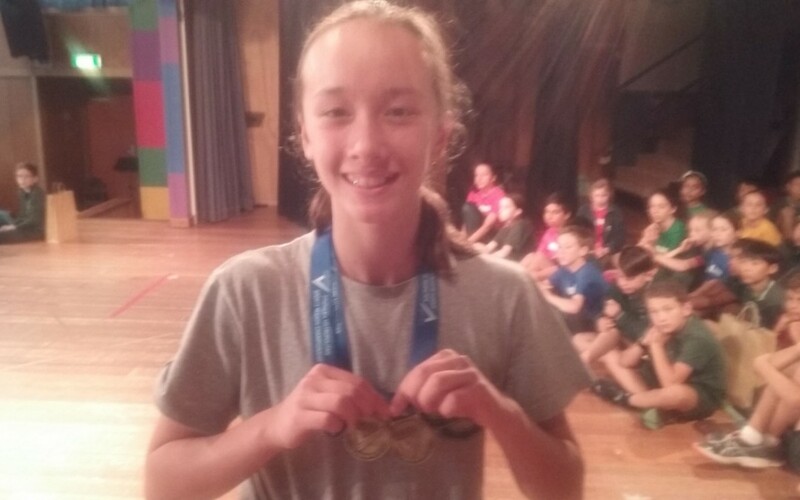 Eon is a champion swimmer, this year progressing through House Swimming, Bentleigh District, Beachside Division, Southern Metro Region and finally competing at the School Sport Victorian (SSV) Championships. She won 2 Gold Medals, in the 50m freestyle and 50m butterfly. Amazing achievement Eon!